This year, we saw the creation of North Sea Port, the result of a merger of Zeeland Seaports (NL) and the Port of Ghent (B). 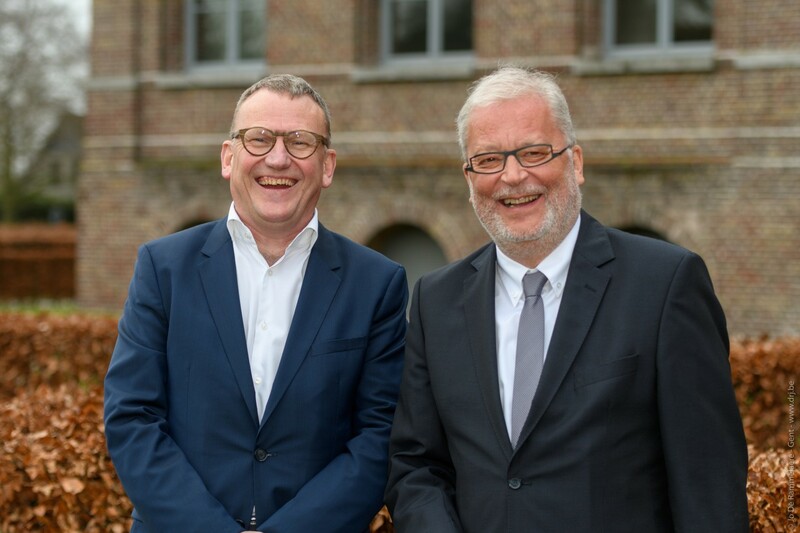 Given that the new port authority is led by the two CEOs of the two previous port authorities, we thought it was a good idea to have an interview with both Mr. Daan Schalck and Mr. Jan Lagasse. Since January 2018, the Port of Ghent (Belgium) and Zeeland Seaports (the Netherlands) have merged into one port authority called “North Sea Port”. What were the reasons for this merger? The main reasons for the merger are the various advantages that it brought to both companies and to the region. As a result of the merger, North Sea Port is now number 10 in Europe, number 7 in the range Hamburg – Le Havre and number 3 concerning added-value. In terms of advantages for the two companies, North Sea Port has given them opportunities to decrease operational costs by means of more efficiency, economy of scale, and thanks to the prevention of overlapping activities. The savings that were made possible thanks to the merger may also be beneficial to other companies in terms of lower rates or a lower increase of rates, for example. In addition, the larger scale of North Sea Port compared to the Port of Ghent and Zeeland Seaports alone will offer a bigger chance of combining cargo flows. The merger also offers advantages for the region, mainly in the form of increased employment. We now count 98.372 jobs (43.941 direct and 53.431 indirect jobs) in 525 companies, but our goal is to reach 100.000 jobs by 2020. This would bring an added-value of €13.4 billion to the region. A new name was chosen after the merger, which expresses innovation and ambition, with a hint of bravado, since ‘North Sea Port’ goes beyond the former ‘Ghent’ and ‘Zeeland’. North Sea Port represents the North Sea region. The international name is intentional and offers the new port company and port area a unique position in the heart of Europe. The addition of ‘Together. Smarter.’ emphasizes the importance of close cooperation with and among clients, partners and stakeholders on the one hand and the focus on innovation and a smarter way of working on the other hand. In the European port landscape, it is quite unique to have a port that is being led by two CEOs. How should we see this leadership by two CEOs? Are you retaining strong links to the ports you previously managed before the merger? This leadership by two CEOs will last several years. The two are CEO of the holding and of the two subsidiary companies Zeeland Seaports and Ghent Port Company. At the end of June 2018, the European Public Limited Liability Company has been established as holding of the two subsidiary companies for which, among others, a supervisory body has been installed. Moreover, there will be a Shareholders Committee with all eight elected representatives of the municipal councils (for Belgium: Gent, Evergem, Zelzate – for The Netherlands: Vlissingen, Terneuzen, Borsele), state and provincial councils (for Belgium: Province of East Flanders; for The Netherlands: Province of Zeeland) and the shareholders. In addition, there will be structural and bilateral meetings with the shareholders. A participation body for the staff will also be set up for the holding. By maintaining offices at various locations and by setting up a business consultancy body, the ‘short lines of communication’, much appreciated by the companies, are guaranteed. The holding will be established in the former town hall of “Sas van Gent”, in the heart of the port area, just on the border between the Netherlands and Belgium. The future Port House in Ghent – the House of the Free Skippers at the Graslei – will function as an international sign board. What is your vision for North Sea Port for the next decade? By the year 2022, we want to be a leading brand in the international port world. By then, it wants to increase its added-value by 10%, its maritime traffic to 70 million tonnes (currently 62 million tonnes), and inland traffic to 60 million tonnes (currently 55 million tonnes). The employment is expected to grow to 100,000 jobs (direct and indirect, currently rounded off to 97,000). Another aim of North Sea Port is to further develop the port area. In order to do so, it has a number of ambitions. We want to generate economic growth through the diversification of sectors and (trading) areas. It aims to achieve a sustainable increase in added-value, employment and transhipment volumes (seagoing and inland navigation). North Sea Port also aims to improve the opportunities for existing and new customers by coordinating spatial development with the infrastructure, by planning to further develop the multimodal infrastructure (seagoing shipping, inland navigation, rail, road and pipelines) and by further improving the accessibility of the Port. Optimal spatial development and sustainable configuration of the available space are major goals of the Port. Finally, we seek to work actively with all the partners involved in order to achieve its ambitious objectives in terms of sustainability more quickly. To this end, we are investing in sustainable business operations, transport and land use, which respect the living environment and nature. The 2018 ESPO Conference, which took place on 31 May and 1 June in Rotterdam, focused on investing in the port of tomorrow. On 3 May, the European Commission adopted the proposal for the EU budget 2021-2027 (MFF), which allocates 30.6 billion Euros to transport. Currently, ports have been obtaining only 4% of the EU budget reserved for transport (CEF transport). Why do you think it is important for the EU to invest more in ports? We believe that Europe has to invest more in ports. Almost 90% of worldwide transport is by seagoing vessels. A great number of countries on all continents are important trade partners for numerous European countries and cities. The EU therefore must develop the corridors of transport in Europe to have efficient, safe, and fast transport by seagoing vessels and barges. European ports need space to develop. They need investments to stay tuned on current challenges of sustainable transport, and to create less traffic jam on roads and highways and less CO2 emissions. On 1 June 2018, the President of the United States, Donald Trump, decided to impose additional tariffs on imports of certain steel and aluminum products in the US. How does/will the introduction of US tariffs on steel and aluminum products have an impact on North Sea Port? A large steel plant, ArcelorMittal, is located in the port area of Ghent in North Sea Port. 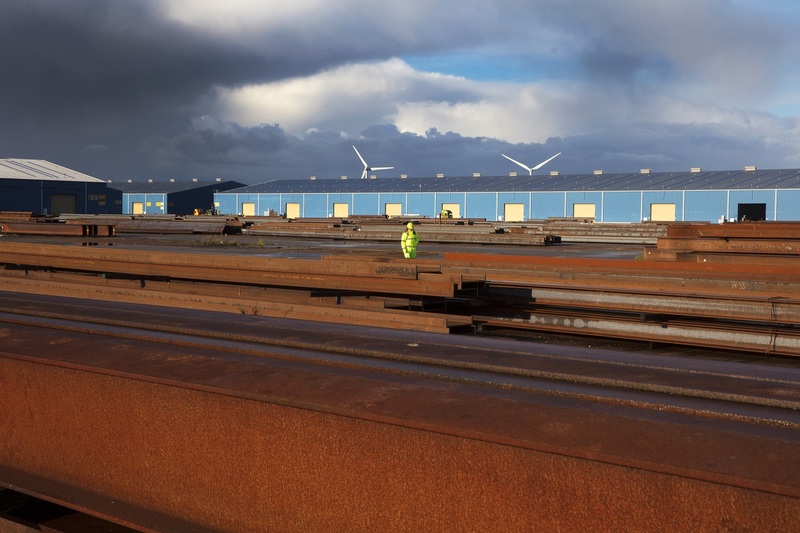 More than 5.000 people are working in what is one of the biggest steel plants of Europe. It might be possible that US tariffs decrease the export of steel to the USA. The same problem exists as far as aluminum is concerned, given the fact that North Sea Port is one of the biggest ports in Europe for the storage of aluminum. ESPO shares a common office with EFIP, the European Federation of Inland Ports. North Sea Port combines both the activities of a sea port as well as an inland port. Does this synergy create benefits? Can you briefly explain the importance of the new Seine-Nord Canal project for North Sea Port? Seagoing as well as inland navigation for both Zeeland Seaports as well as the Port of Ghent have together experienced a record start, which can be seen in the total cargo traffic figure for seagoing and inland navigation, which amounts to 123.1 million tonnes. North Sea Port’s seaborne cargo traffic for the year 2017 amounts to 66.6 million tones, with a 71% import share and a 29% export share. If our merged cross-border port had already existed at that time, this would have been the best result ever (+6.9%). The inland navigation cargo traffic comes to 56.5 million tonnes which would equally have been a record. This synergy between the two creates more and more jobs. It constitutes a real added-value. By realizing the Seine-Nord Canal project, North Sea Port will have a better connection with Paris. Currently, barges up to around 400 tonnes can sail to Paris. After the completion of the new canal, it will be possible to have barges up to 4.500 tonnes. This increase of capacity is particularly interesting for the export of construction materials to Paris. 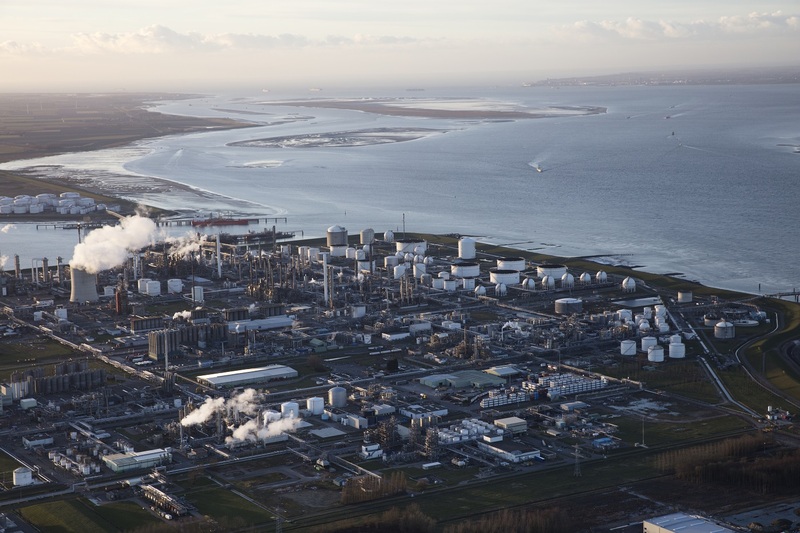 Furthermore, the improved connection of North Sea Port with France is also interesting for goods that arrive in Rotterdam and Antwerp and are destined for the French market. What are the main focal points of your port’s environmental policy? North Sea Port wants to improve the development opportunities for existing and new customers by coordinating spatial development with the infrastructure. 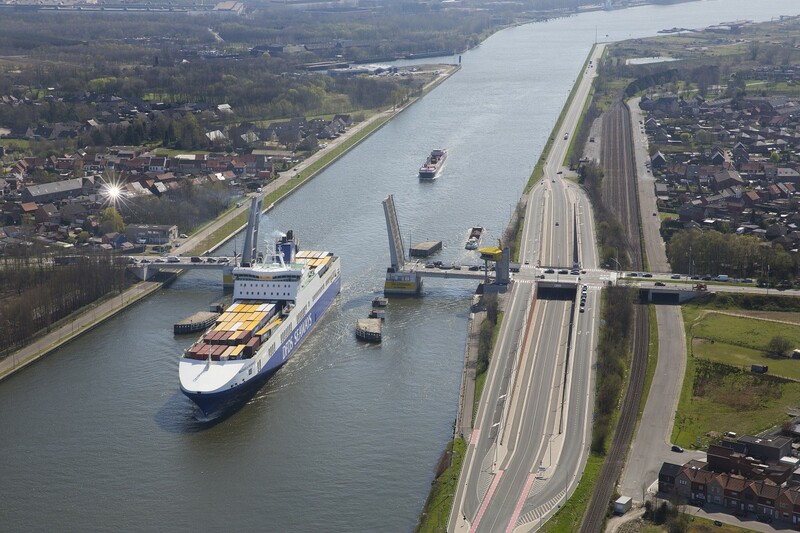 North Sea Port is planning to further develop the multimodal infrastructure (seagoing shipping, inland navigation, rail, road and pipelines) and will further improve the accessibility of the port. Furthermore, North Sea Port is aiming for optimum spatial development and sustainable configuration of the available space. North Sea Port seeks to work actively with all the partners involved in order to achieve the existing ambitious objectives in terms of sustainability more quickly. North Sea Port is investing in sustainable business operations, transport and land use, with respect to the living environment and nature. We are looking at investments in wind en solar energy and biomass.